Logan Ward and his wife, Heather, were prototypical New Yorkers circa 2000: their lives steeped in ambition, work, and stress. Feeling their souls grow numb, wanting their toddler son to see the stars at night, the Wards made a plan. They would return to their native South, find a farm, and for one year live exactly as people did in 1900 Virginia: without a car or electricity–and with only the food they could grow themselves. It was a project that would push their relationship to the brink–and illuminate stunning hardships and equally remarkable surprises. From Logan’s emotionally charged battles with Belle, the family workhorse, to Heather’s daily trials with a wood-fired cooking stove and a constant siege of garden pests and cantankerous animals, the Wards were soon overwhelmed by their new life. 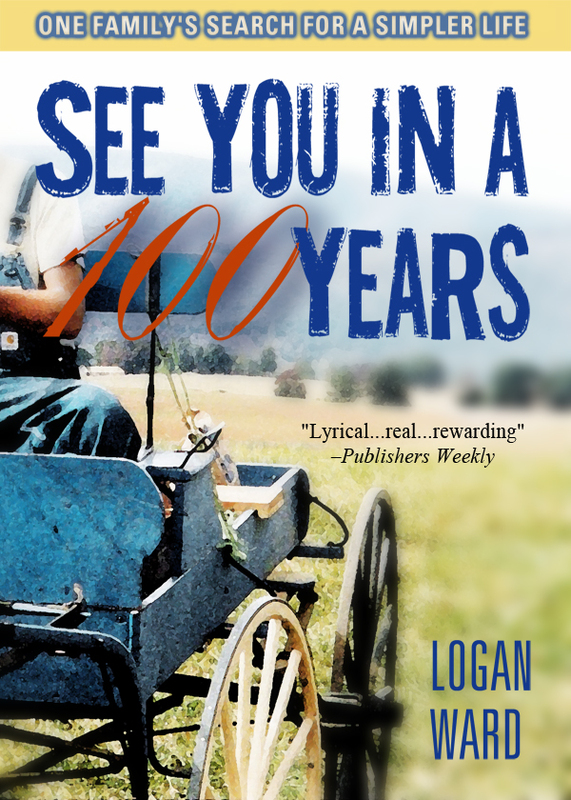 At the same time as Logan and Heather struggled with their increasingly fragile relationship, as their son relished simple joys, the couple discovered something else: within their self-imposed time warp, they had found a community, a sense of belonging, and an appreciation both for what we’ve lost–and what we’ve gained–across a century of change. You can purchase the book online from Amazon at http://www.amazon.com/See-You-Hundred-Years-Familys-ebook/dp/B00CBM6FDG.